Late Night Update merged into original text ! 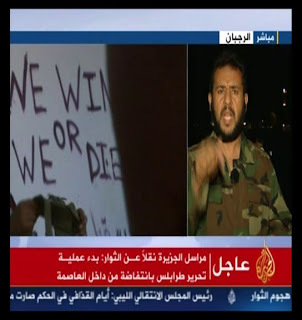 Libyan rebels are pushing forward in the direction of Sirt [above picture], and Algeria confirms the entry of persons belonging to the Gadafi family on their territory. According to Algerian authorities, two sons of Gadafi [below picture: Hannibal (left), Mohammed (right)], his daughter and his wife are among the group that fled into Algeria. 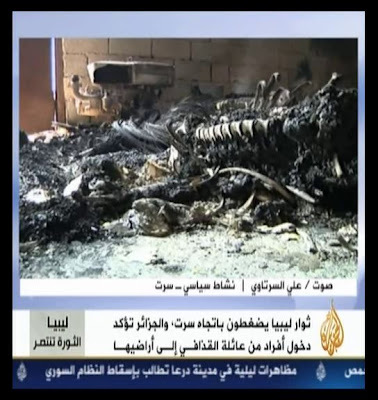 Lots of calcinated carcasses of prisoners left behind by Gadafi troops. The conservative Algerian government indicated it allowed members of the Gadafi clan to enter the country for "humanity reasons" and because they "should not belong to a group of persons that are subject to a United Nations resolution on crimes against humanity under the Gadafi regime". 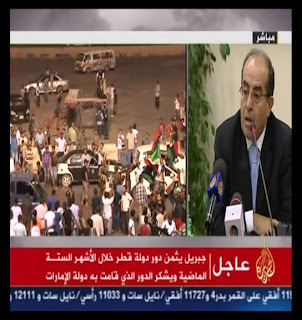 This Algerian point of view is being contested by the Libyan opposition. The military speaker of the Libyan opposition, Ahmed Bani al-Asnin, communicated that a [direct] confrontation led to the conclusion "identity granted" [and thereby confirmed] that the chief of Libya's secret service, Abdullah al-Sanussi, died on Saturday [August 27] together with Khamis, a son of Gadafi. 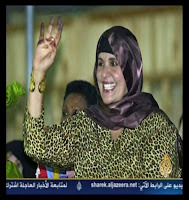 Algeria is receiving members of the Gadafi clan fleeing from Libya. Algeria [says]: Our position towards the National Council [of Libya] restricts the Arabic and African positions. Algeria loses the "Arabic cap" in its position which rejects the recognition of the National Council [of Libya]. An absence of confidence is governing the relations between Algeria and the Libyan revolution since its outbreak. Libyan rebels have accused Algeria many times of supporting Gadafi. The Libyan rebels accused Algeria of coordinating the provision of mercenaries for the battle at Gadafi's side. Algeria accused the rebels more than once of granting cover for the intrusion of foreigners into the region. 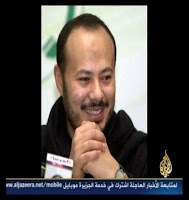 Last April, the Algerian minister of foreign affairs rejected a [possible] victory of the rebels over Gadafi forces. The Algerian minister of the interior predicts difficult relations of his country with Libya in case [Libya's] regime would flee [the country]. 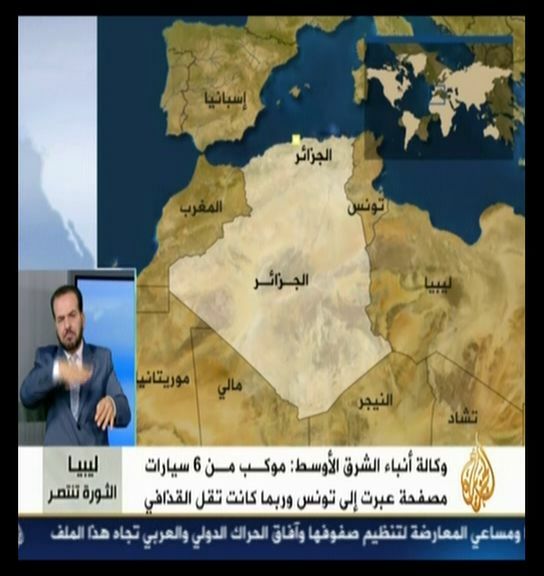 Evaluation of political relations between Algeria and the National Transitional Congress of Libya (NTC) by Al-Jazeera, Arabic Service, August 30, 2011. All translation made by Ulysses. 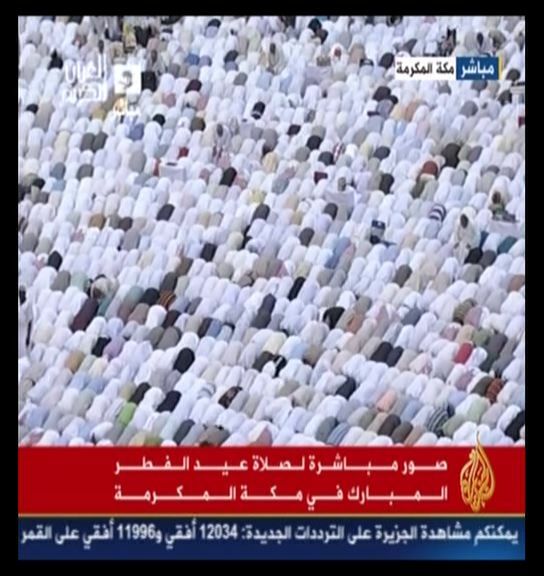 Direct from Mecca: Prayer on the Muslimic Feast of Ending the period of Fasting. 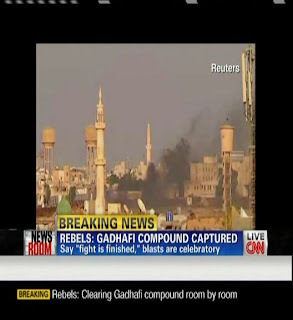 According to CNN and FOX News, Saadi Gadafi should have contacted Libyan rebels to offer negotiations intended to "save the country", thereby obviously acting on behalf of his father (FOX News, Al-Jazeera). 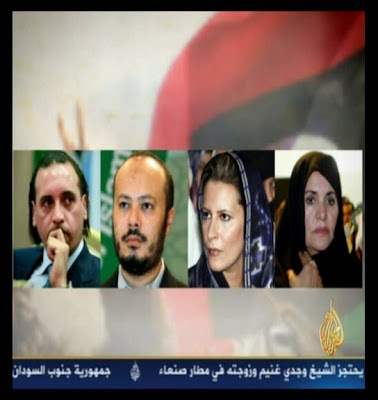 Libyan National Transition Council NTC has already rejected any negotiations with the Gadafi clan when the African Union demanded a shared representation of Libya in the AU " with the Gadafi administration sitting side by side with the rebels ". 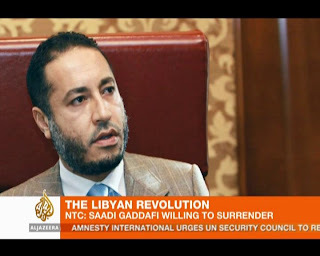 As many African nations already recognized the provisional NTC government together with the Arab League members and many other countries, the African Union's decision could only be understood in the frame of Gadafi's support for that institution at a time when he was able to pump much of Libya's oil money into his ambitious plans for an "African Renaissance" where he could play a decisive role with the help of the African Union. Yesterday, less than a week ago and only [shortly before] the 42nd anniversary celebrations [reminding] his access to power in 1969, Libya's Colonel Muamar Gadafi started to face either the fate of the deceased Iraqi president Sadam Hussein or [his] transformation into one of the warlords in Somalia. 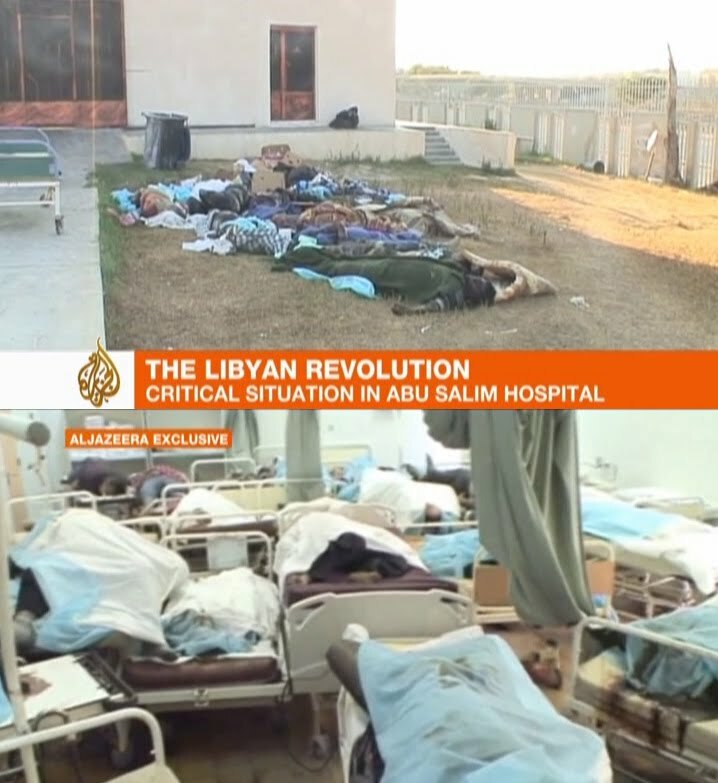 At the moment when hostile rebels pressed against him, the suffocation of himself and of the remainings of his military forces and his security units has brought much trouble to the inside and outside of the Libyan capital of Tripolis. Information from the office of "Middle East" [Saudi daily al-Shark al-Awsad]: A convoi of 6 armoured vehicles passed [the border] in the direction of Tunis and it might be [they evacuated] Gadafi. Rumours about Gadafi and his family fleeing into Algeria, possibly via Tunisia, have been propagated by Al-Jazeera on their web service. 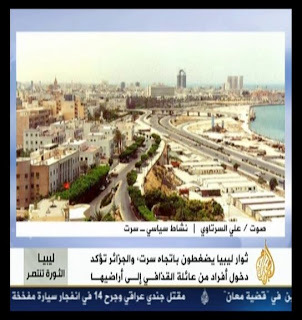 The "Egyptian source" cited by Al-Jazeera might be the Kairo offfice of the Saudi paper "Middle East" because the above quoted article has been composed there as well. Algeria rather than Tunisia would make sense as a temporary resort for the Gadafi clan because of a more "stable" situation in that country which, up to now, experienced only some low-level uprising in the past. The official Egyptian news agency "Middle East" earlier cited what a news source from among the Libyan rebels had told them. A motorcade composed of six armoured vehicles entered the Libyan boundary region of [Ras] Ajdir at high speed, early morning on August 26. 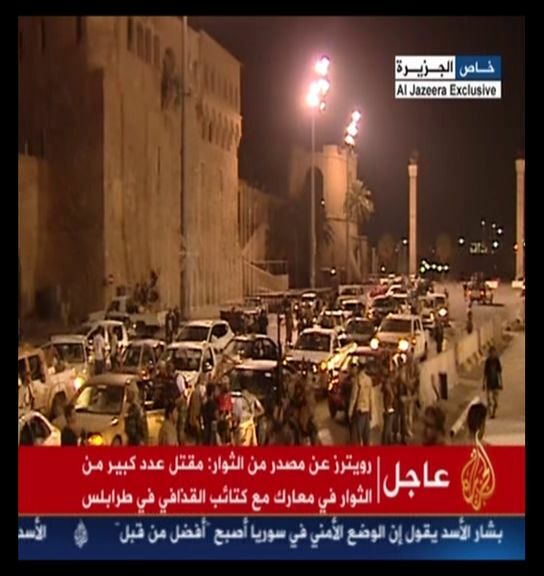 It is possible that Gadafi and his sons were inside these cars. 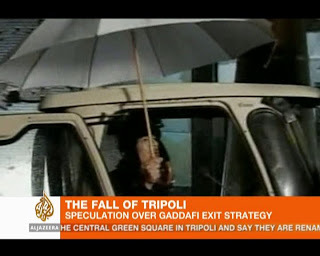 This has started a new round of guessing on where Gadafi is hiding. 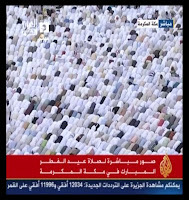 As to the "official" Egyptian news agency "Middle East" there might be some confusion with the "Middle East" daily publication, well-known all over the region. By the way, it is difficult to find out who is really behind that Saudi publication, generally known in the region by its Arabic name "al-Shark al-Awsad" which makes it even more important to rely on Al-Jazeera as an independent source of information due to the liberal attitude of the ruling dynasty in Qatar, the traditional home of Al-Jazeera and still its base for the Arabic program. urged to abstain from "radicalism"
The United States hurried up to encourage the Libyan National Council of Transition [NTC] to abstain from radicalism since the proclamation of an international resolution on the reflow of an extensive sum such that the revolution [could] transform Libya's frozen assets into global reserves. ... On the other hand, said Lynn Pascoe, Under-Secretary-General for Political Affairs at the United Nations, wishes the transitional [council] to [play the part of] the [essential] organization in Libya's next future. He indicated that [the council] [already] began with an active investigation on how to participate in the organization of a new Libyan government for the coming era, with the goal to realize an independent democracy as wanted by the Libyan [people]and by the United Nations [as well]. Libyan rebels are transferring the center of their administration to Tripolis and 20 African countries are about to recognize the Transitional Council [as the legitimate government of Libya]. 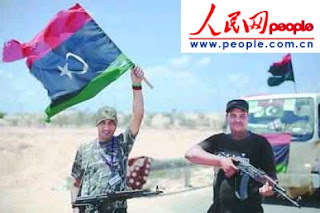 Like many other countries, China as well is involved in different industrial projects on Libyan territory. 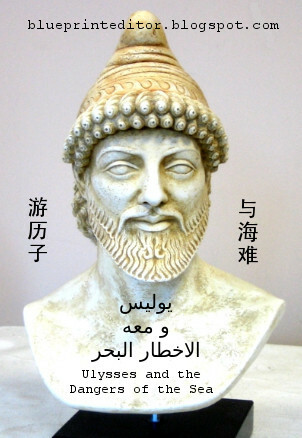 That's why any Chinese statements on the proceedings of the Libyan revolution should be most useful to the rebel government. I therefore added recent Chinese remarks extracted from Beijing's semi-official People's Daily (Online edition Renmin Wang). [China's] Ministry of Foreign Affairs: Hope for Libya to realize a smooth and steady transition of the ruling power. The international community is lending a hand to Libya's transition process. The opposition has indicated that [their] general headquarters, in command during [these] two days of heading for Tripolis, held a parliamentary [meeting] in August together with [their] president elect. The latest state of affairs makes it clear that the military base of the opposition has gained control over the capital and, within the whole country's range, most part of the region. 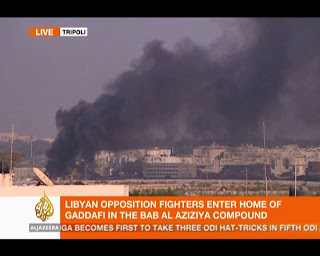 The post-Gadafi era arrived and a numerous and shocked international community has to respond to that fact. 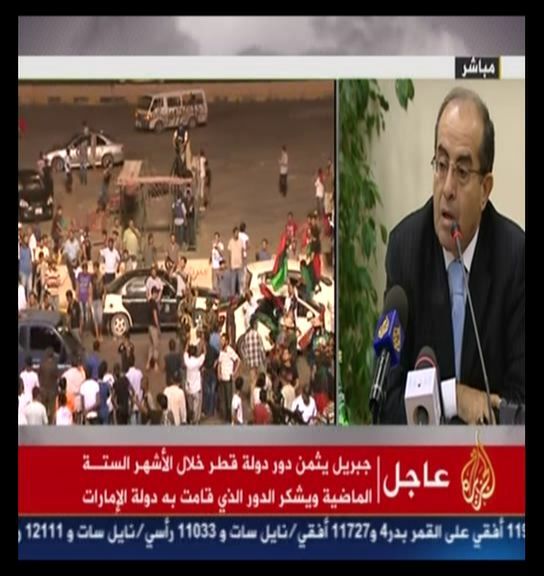 "Recorded speech from Libya's Colonel Muamar Gadafi passing by [TV] channel Al-Aruba and Al-Rai." Above: The man in charge of a planned embassy bombing in Tunis and that should be directed against members of the Arab League. "Jibril appreciates the role the state of Qatar [was playing] during the six passed months and is grateful to the part the [United] Emirates had taken." Above: Tribal areas of Libya, each area shown in a different color. 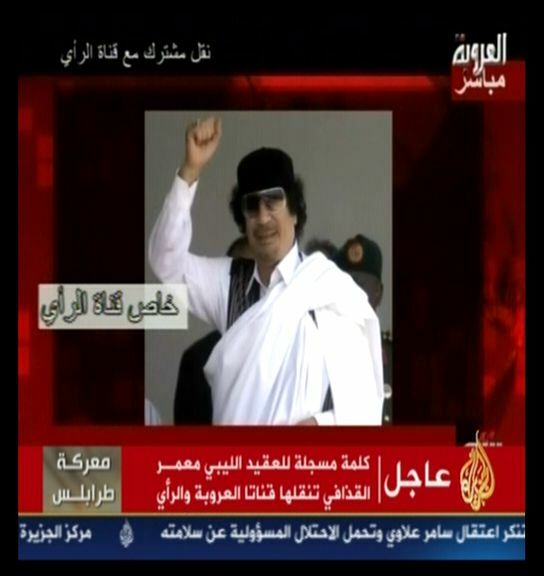 Some tribes in the Southern regions are still in favor of Gadafi's regime. "The Russian president remarks that there are two powers in Libya and calls them to enter into a dialogue." 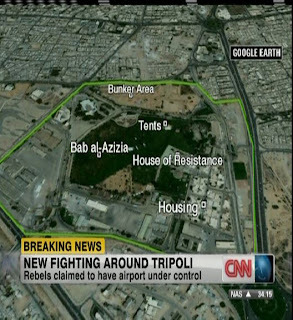 Breaking news of the hour: Rebels just took over Col. Gadafi's heavily embattled home at Bab Aziziya in Tripolis. 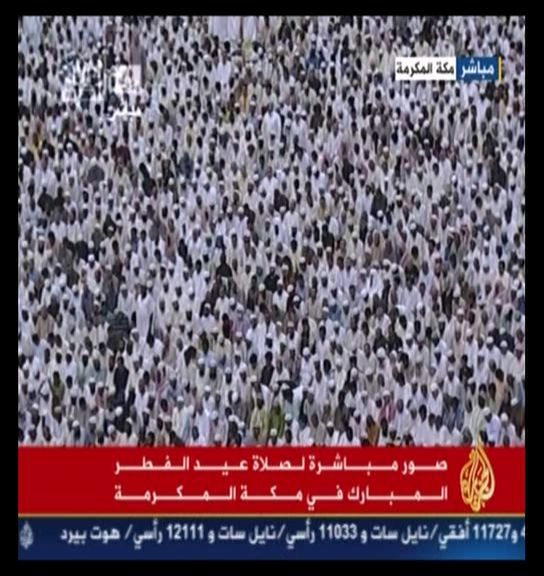 Scenes of celebration on the compound. 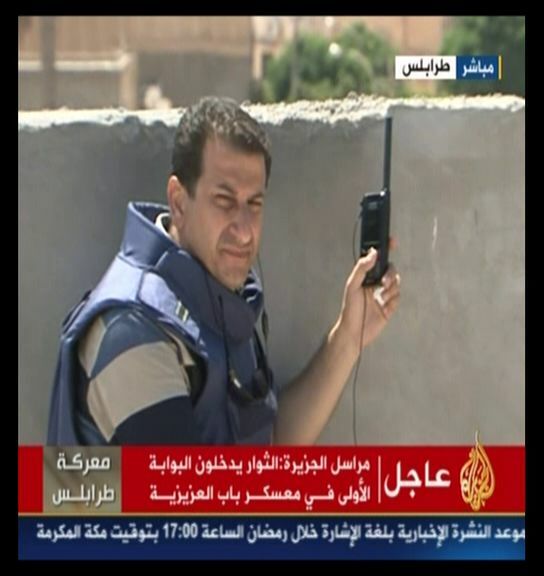 A camera of Al-Jazeera entered the "House of Determination", the residence of Gadafi at Bab Al-Aziziya. Abad al-Hakim Balakhaadj, presiding the military council for the rebel [forces] of Tripolis. The leader of rebel forces in Tripolis [said]: 90% of Bab Al-Aziziya are entirely secured. The leader of rebel forces in Tripolis [added]: Our attack on Bab Al-Aziziya [was directed along] 4 axes and proceeded as a sudden eruption. 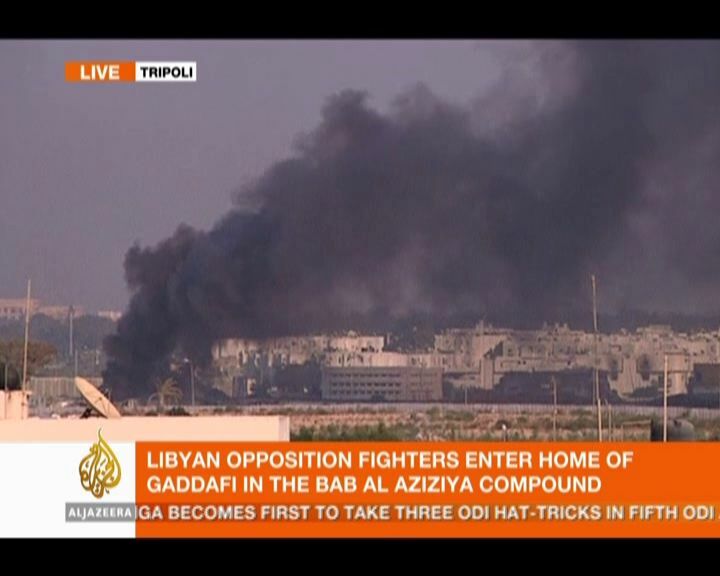 - Smoke over the Gadafi compound after intensive shelling. - Map of the vast Gadafi compound near Bab Aziziya, including housing for the Gadafi family and government members, bunkers etc..
- Map of Rixos hotel near the Gadafi compound and where many international journalists are being trapped at the moment. 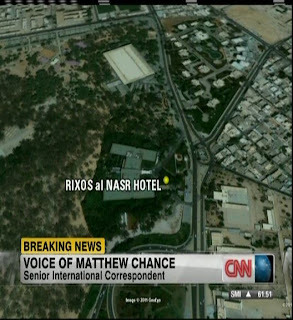 Matthew Chance, senior international correspondent for CNN reports:"I am in my hotel room, lying on my belly to avoid being hit by shelling." - Scenes of extensive shelling as shown by Al-Jazeera. 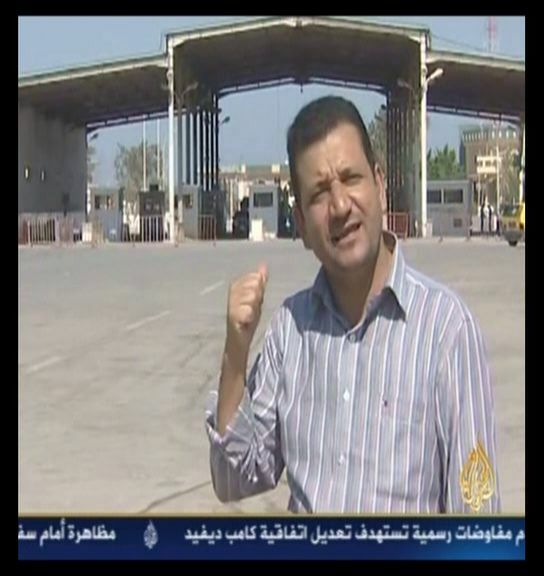 - An Al-Jazeera correspondent trying to transmit his report. - Civilians fleeing urban warfare. 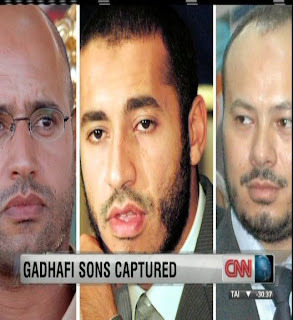 This morning, after I made a short update based on material provided by Al-Jazeera, it came to my attention that Saif al-Islam Gadafi and his brother Mohammed managed to escape from rebel custody. 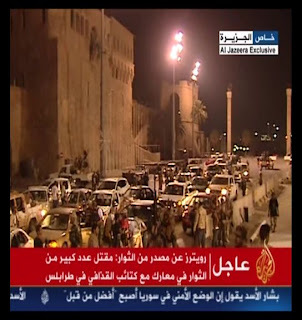 Saif al-Islam, the more dangerous one, even took a "ride of triumph" through the tiny area held by loyal troops. 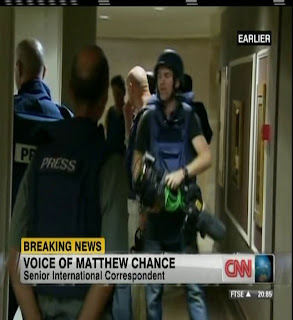 Eager to get more information, I tried Al-Jazeera and CNN, but both TV stations seemed to have other problems than to report on the news of yesterday. I point this out in order to give my visitors an idea how fast things are changing now in Tripolis and how fast priorities might change as well in a fierce urban warfare. 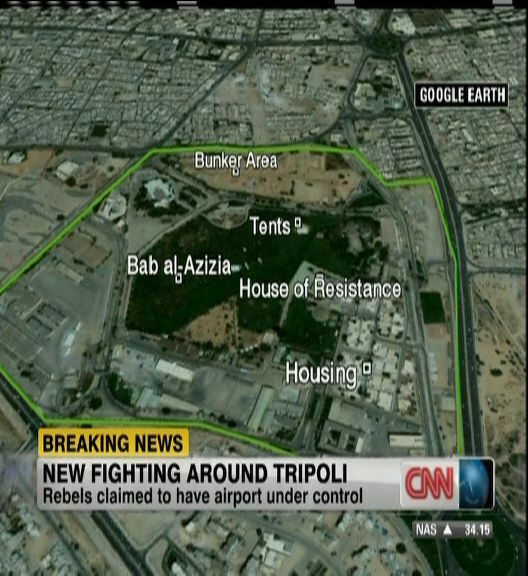 Occasional confrontations between rebels and units of Gadafi followers in certain pockets of resistance in Tripolis. Rebels are installing fortified checkpoints in Tripolis to avoid any security breach in the shadow of such existing pockets of resistance. Gadafi units in the town of Sirt al-Libia launched a Skud missile directed against Nato [forces]. and often quoted speech there at the beginning of the uprising. 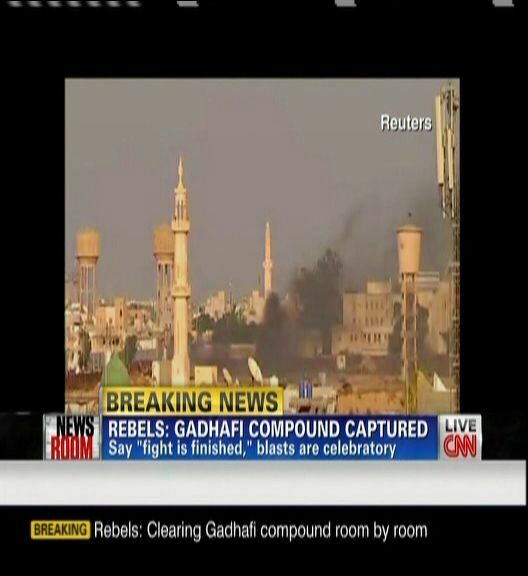 are being expected, is still under control of government troops. have not been released by the rebels up to now (i.e. 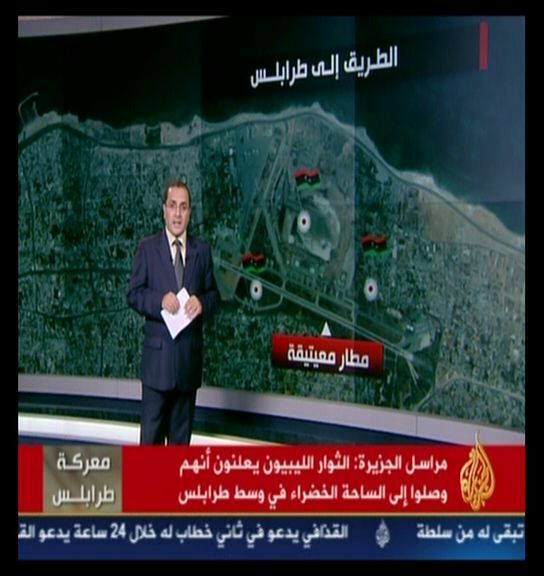 According to a correspondent of Al-Jazeera, Libyan rebels declare they have reached Green Square in the center of Tripolis. Libyan rebels retreat from the region of al-Sanayia in Brega the day after they got control of it. The oil refinery of Brega has been taken over by rebel units. 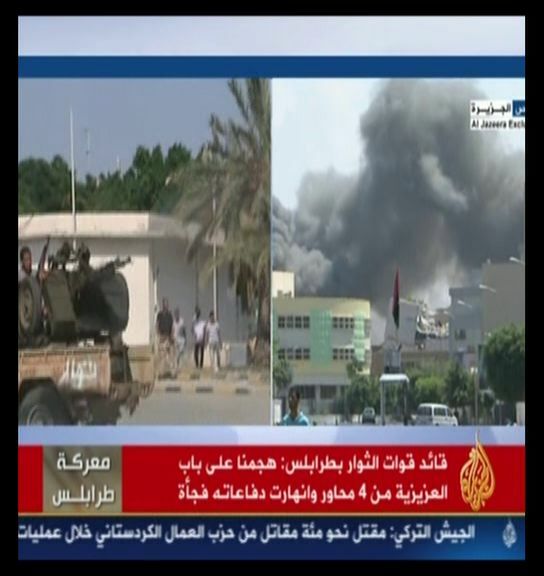 Gadafi's hometown of Sirte is still in the hands of government troops. 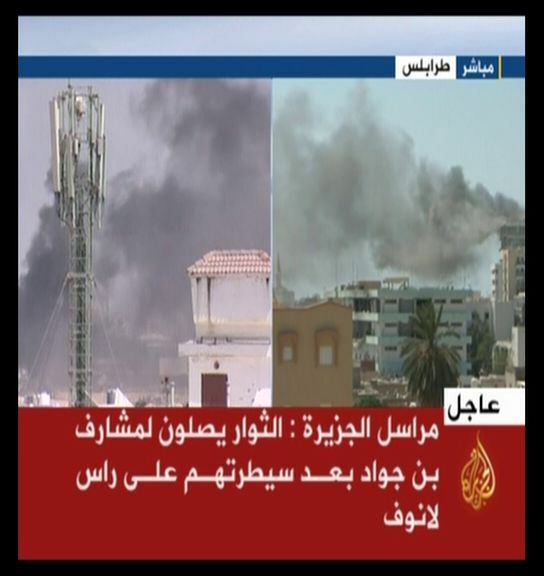 Rebels are trying to cut off their supply line into Sirte. While parts of al-Zaouiya are still under fire, rebels encircled Gadafi troops near the Tunisian border. 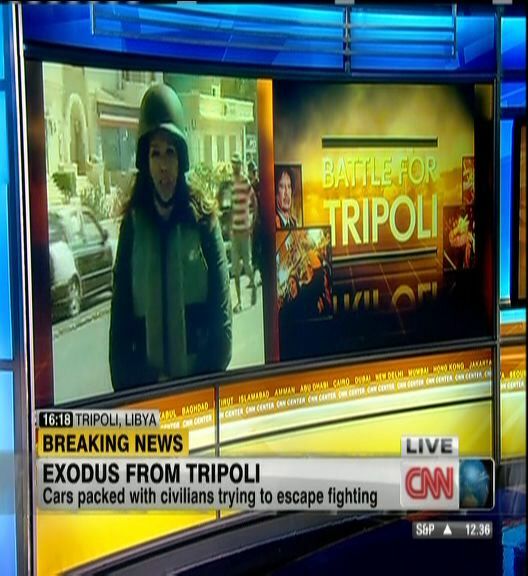 Official Tunisian sources reported a movement of unidentified Libyan units on Tunisian territory. 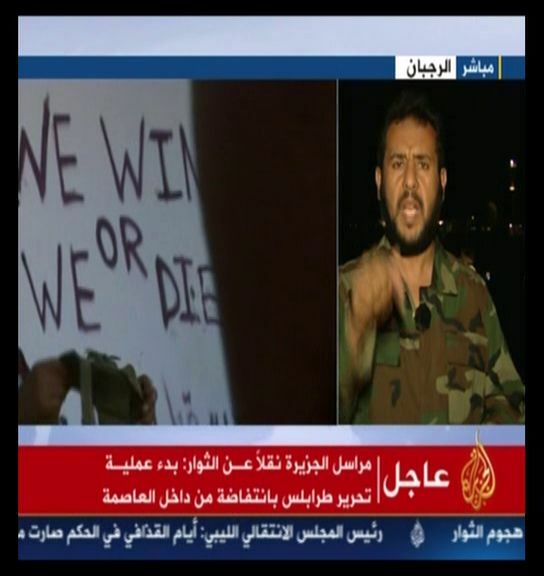 Most important victory of the day is the fall of Zlitan township into the hands of the rebels. Zlitan (shown as a highlighted point at the right side of the map) is situated at the coastal road to Tripolis. the Gadafi regime. Can it resist until the end of August ? For some days, the counterattack of the Libyan opposition, while continuously pressing forward, seemingly led the West to foster certain hopes. 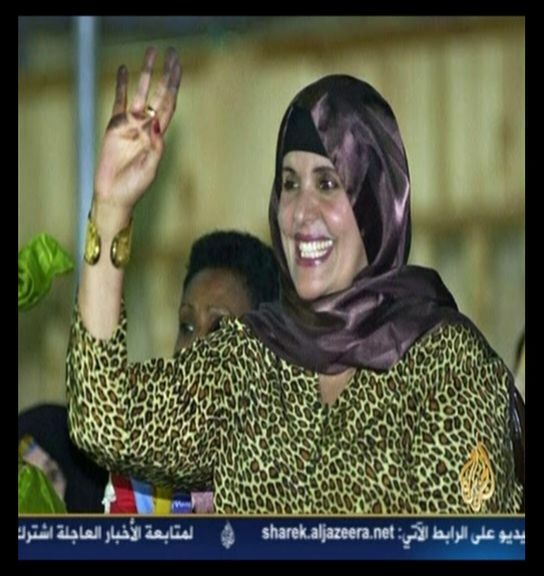 A press spokesman [...] for the U.S. White House admitted: " One point becomes steadily clearer: The ouster of Gadafi's regime will mark a longed-for day. " 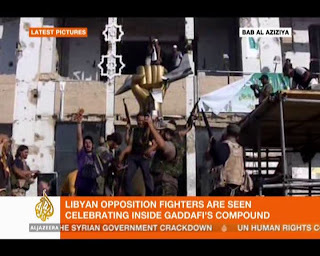 (*) Many U.S. officials express [their opinion] that now all those are right who initially believed that arming the Libyan opposition [gave them]" without any doubt the ability to get the whole country under control ". 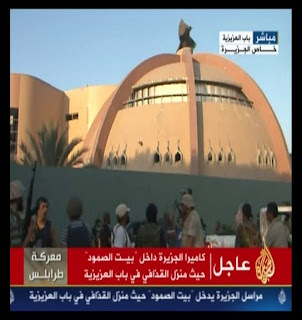 "(The ouster of) Gadafi's regime will mark a day of rigorous treatment." Namely the international community felt the unexpected when Russia ( that was originally supporting Gadafi ) suddenly changed its position. On [August] 12, the Russian president's press office declared that Russian president Medvedyev just signed a presidential order to carry out UN Security Council's resolution No. 1973 dealing with a total inhibition of air traffic over Libya, the freezing of assets from Libya's leader Gadafi, his family, his relatives and his nearest followers and, furthermore, the prohibition of entrance into Russia's territory for the mentioned persons. ... [The use of a Scud missile] can mark as well the war entering into a new phase. Because of the Scud missile's range of fire amounting to 800 km, " it is clear that Gadafi possibly holds in his hand as well further 'goods in stock', even comprising biological and chemical weapons." The missile threat left beside: Even if armed soldiers of the Libyan opposition are getting close to Tripolis, these insufficiently trained fighters have to consider the art of street fighting in order to take over the capital. They have to deliver the corresponding amount of lives according to the 'cost' [i.e. death toll] per time unit. 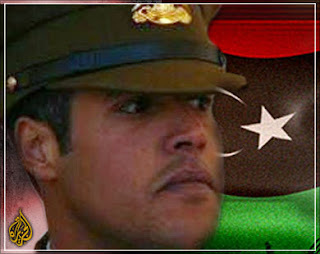 News are saying that those Special Guards, personally commanded by Gadafi's son, are retreating from all sides into Tripolis, just under [his] eyes. If then such masses loyal to Gadafi are increasing even more to [an enormous] extent, both sides in the capital's militant fighting must not [be guided by] an optimistic view. Furthermore, the arming of Libya's opposition, a rather slack way of waging war and cooperating, is also some kind of a testing procedure. Analysts are pointing out that once war has started between two parties as a short distance and earth-bound man-to-man fighting to such an extent, then NATO [forces] with all their power [to control] airspace, nevertheless will lose technical equipment [in an effort to achieve] military predominance. 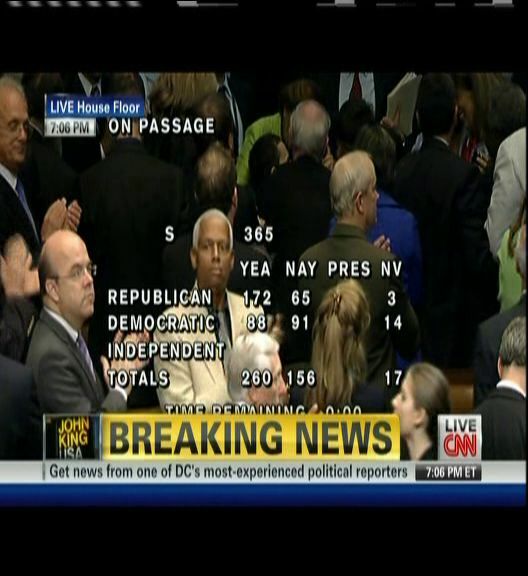 All they can do is to sit and wait for the outcome of both parties' ground war. 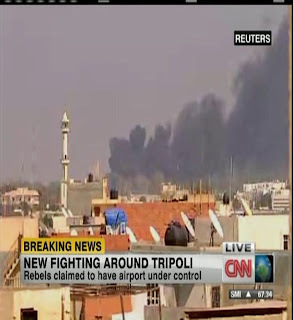 What is worrying Western societies even more are those recently propagated videos and other propaganda material from the North African branch of Al-Qaeda organization, demonstrating [one fact]: The Libyan war and other [manifestations] of the "Arabic Spring" are already urging the organization to search for a [tactical] base to "increase its domain and strengthen its influential power". 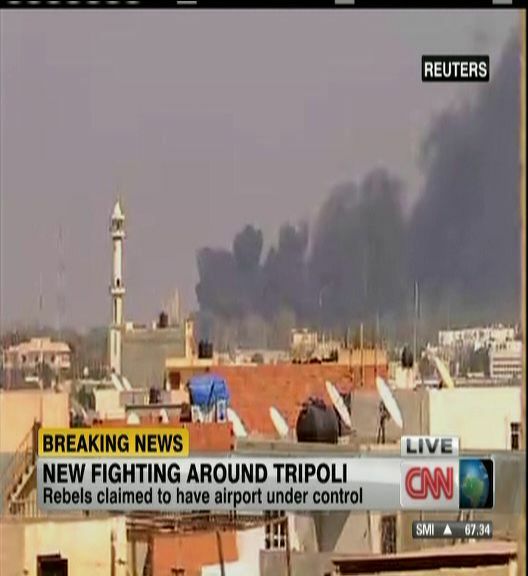 In Libya and its neighbouring states the shadow of Al-Qaeda and its members already emerged. 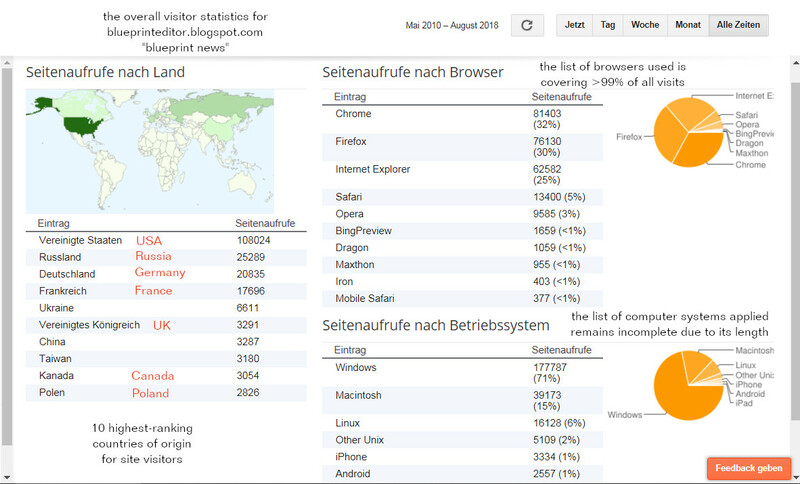 Link to the original source, published on August 17, 2011. 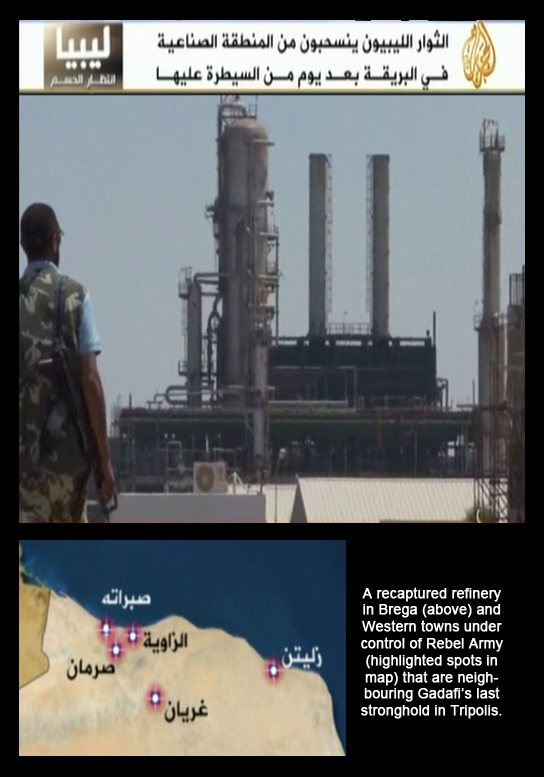 Video and Map: Latest advances of the Rebel Army in Western Libya. 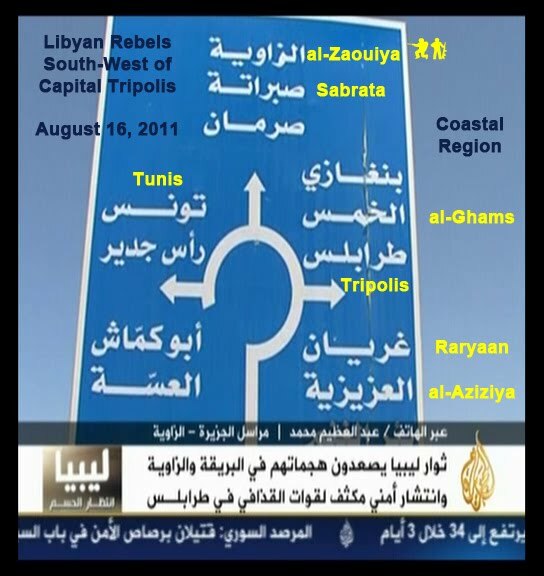 The most important coastal road, linking Tripolis with Eastern Libya and the Tunisian border in the West, is now being blocked at Misrata in the East and al-Zaouiya in the West. 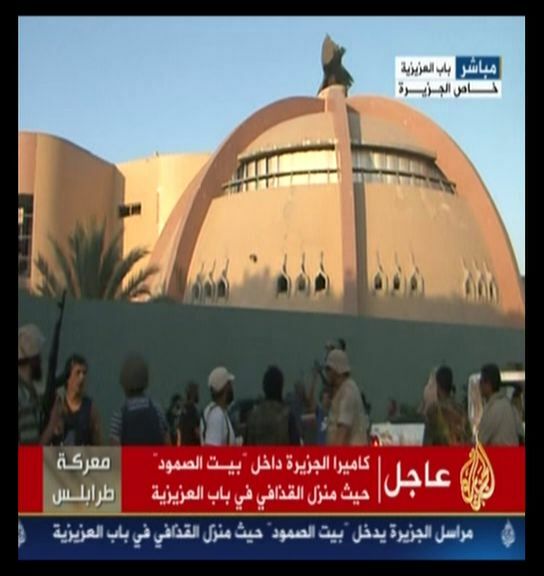 Al-Jazeera, Arabic Service, on August 16, 2011. Map: The blue arrow in the map of Western Libya is pointing at the most probable position of the above traffic sign. The important coastal town of Misrata, now in the hands of the rebels like al-Zaouiya, is situated at the right side of the map but has not been included. For comparison, another map of North-Western Libya has been added and which is dating back to March 5, 2011. 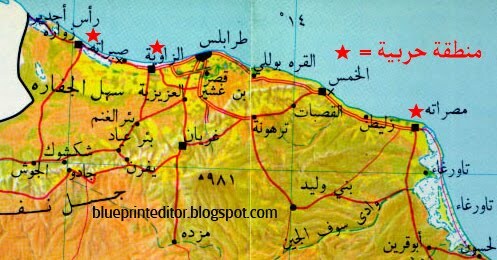 On this map, three places are marked by red stars as war zones where continuous military resistance against the Gadafi regime took place. These places are (from left to right) Sabrata, al-Zaouiya and Misrata. At that time, especially the people of Misrata suffered much hardship as their town had been shelled by Gadafi troops from both sides, i.e. from land and sea. 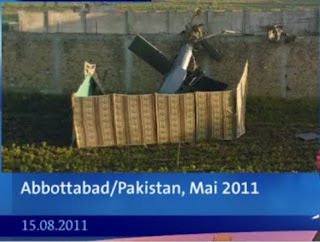 NATO bombardment finally put an end to that shelling. The Southern parts of Western Libya were still under control of the regime. Some time later, the Rebel Army got access to the Tunisian border and established a badly needed line of supply for ammunition and material. Only some hours ago, German National TV - Channel 1 had the news that U.S. authorities accuse Pakistan of letting Chinese specialists take a closer look at the debris of one "Black Hawk" helicopter that crashed during the Bin-Laden operation in Abottabad. As the helicopter had been equipped with latest stealth technology, this seemed to be a good opportunity to spy on U.S. stealth research. It was even propagated that those Chinese experts took some material with them. Now, there are two items to be distinguished. First are the individual construction features of the Black Hawk that surprised even some U.S. pilots who were trained on this type. "There are parts added, we never saw before", was their comment after photos of the helicopter's rear part had been published one day after the Bin-Laden operation. 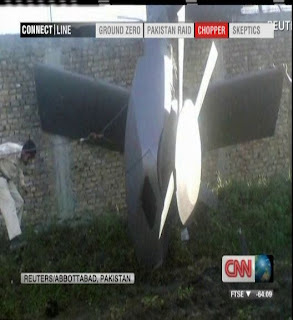 Now, this item of "stealth" technology might be related to sound absorption or better propelling performance and would present a real danger to U.S. defence security only then when a fully equipped and undamaged helicopter would fall into the hands of the Chinese. Even though there might be strong hints at what U.S. engineers are trying to achieve with all those additional rotors, it might turn out that Chinese engineers are having the same on their minds. Such, there should be no practical benefit to the Chinese at all, even if they carried away all the undestroyed parts of the Black Hawk but which was not the case as far as we know. The second item might be more serious as it concerns real state of the art technology. Some debris of the helicopter's outer coating might lead Chinese scientists to the strategy, U.S. stealth research is trying to reach its goal. As there is more than one way to approach this goal of rejecting treacherous electromagnetic emission from all kinds of sophisticated military equipment by using metamaterial coatings, the Chinese might get some basic information. Nevertheless, they would be unable to "rebuild" that kind of metamaterial within a reasonable time without knowing how to exactly proceed. In fact, material design and production technology seem to be a very complicated subject which requires much more information than a smaller or greater piece of stealth coating could ever provide. Even more, stealth technology is steadily being developed for any kind of electromagnetic radiation and steadily making progress which makes it even harder for any spy to deliver reliable information that remains up to date long enough while the next series of U.S. stealth fighters is already being planned. By the way, it should be remembered that in January 2011, a 66-year old U.S. engineer of Indian extraction already became known for having sold U.S. stealth technology for the B-2 bomber to the Chinese and being rewarded by them with 110.000 U.S. dollars hard cash. In comparison to such kind of scandal, the Abottabad proceedings are only of minor importance. All they are showing is an increasing tension between U.S. and Pakistani authorities and a steady mistrust towards Chinese efforts to modernize their armed forces. Even the restoration of an old Soviet aircraft carrier for the Chinese navy is feeding that mistrust. Of course, China is a potential competitor to the U.S. that should be counted with, but all those huge military budgets that served U.S. administrations since the decay of the Soviet Union have taught Chinese leaders to fear U.S. military power and incited them to put some of their extra money from China's booming economy into their own military projects. Far Eastern markets still sliding, but no "Black Monday" in sight. 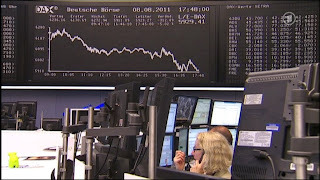 First reports from Asia after the opening of stock markets in Tokyo, Seoul and Sydney on Monday morning, August 8, 2011, 01:00 GMT, after a turbulent week characterized by U.S. debt crisis and European rescue actions for Greece, Spain and Italy. 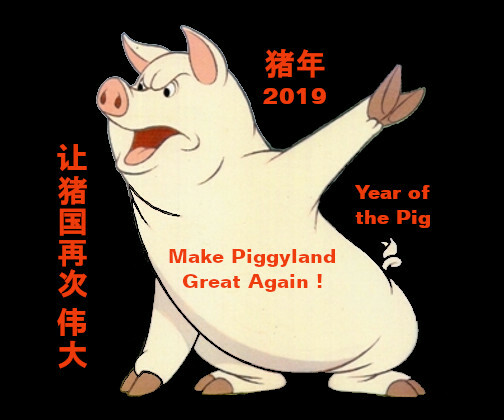 By the way, the Chinese got really sour about U.S. handling of their own debt crisis, which can be understood in the frame of China's vast storage of U.S. treasury bonds. After the downgrading of U.S. rating, such papers naturally lost value. 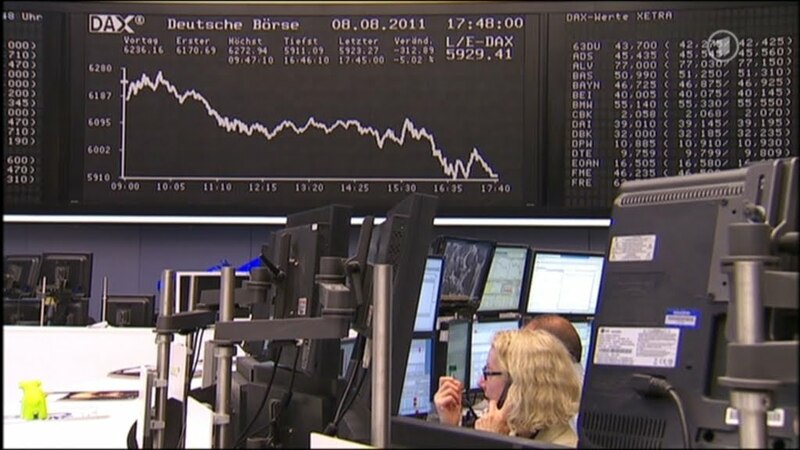 In the frame of a dramatic decay of German DAX values during the last days and hours, BMW lost 8,8% and its competitor DAIMLER 7,1% compared to last week's stock market quotations. Even though, both German premium car manufacturers just presented another record of sound profits for the last year, they are now among such companies whose share prices are suffering most from the actual financial crisis. Share prices of Germany's giant producers of raw and processed chemicals as well as pharmaceuticals followed the trend. 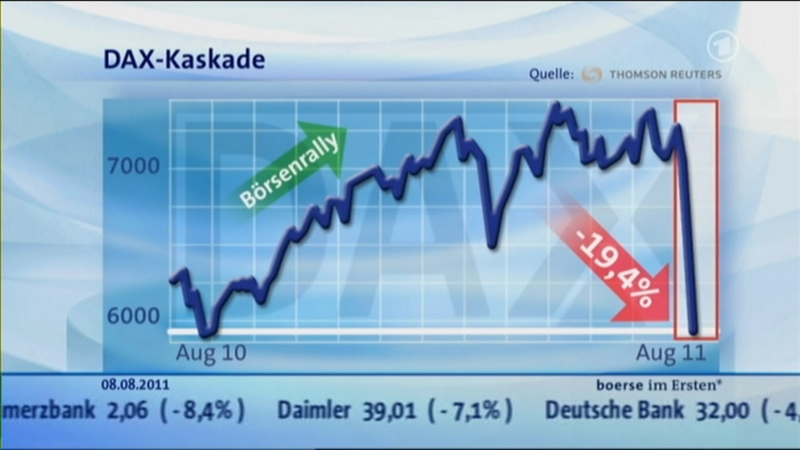 BASF lost 5,6% and BAYER 4,1% of their share prices. Clients are obviously selling all those premium values out of an uncertainty about the efficiency of handling national debt problems in the U.S. and Europe by those politicians in charge of solving such problems and whose ability to perform adequately seems to be doubtful. Such fear and mistrust towards the political establishment has been increasing steadily. In South Korea, as well, a sound economy is suffering from eruptions of the stock market due to the meanwhile global debt crisis. At the end of the day, it turned out that Japan, so much shaken by earthquake and tsunami and severely hit by the Fukushima nuclear disaster, remained the sad "winner" among all those "losers" of the actual crisis. Chinese Institute of Research on Foreign Currency Investment. thus assuring America's predominant position. The crucial point of the U.S. crisis is America's benefit. The European and the U.S. debt crises possess a different character. the U.S. dollar's predominant position and America's hegemony. the U.S. dollar's extremely powerful and predominant position. steps to solve that problem. it would return to America's national benefits and needs. interested readers to get access to the original text in Chinese. 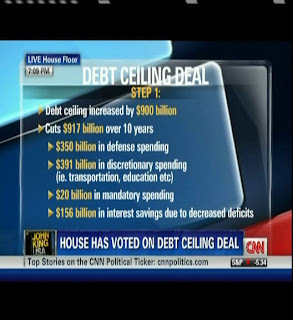 After days of tough bargaining between Democrats and Republicans, House Speaker Boehner could finally present a debt plan that should avoid U.S. debt failure and global financial unrest. 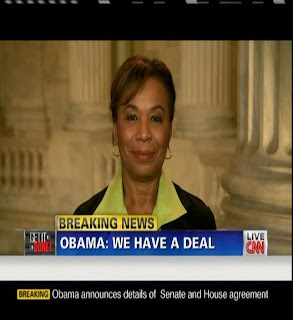 Even though considered as a "Sugar Coated Satan Sandwich" (Democratic Congressman Cleaver from Missouri), this deal will bring temporary relief to U.S. economy and help the Obama administration to carry on. As cuts to the social system are preferred to tax raises by the deal, many Democratic voters hesitated up to the last minutes of the vote to support it. 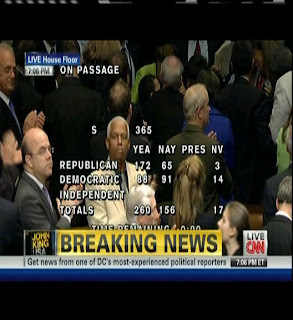 The above picture shows the moment when members of the House acclaimed the reaching of a crucial number of votes. 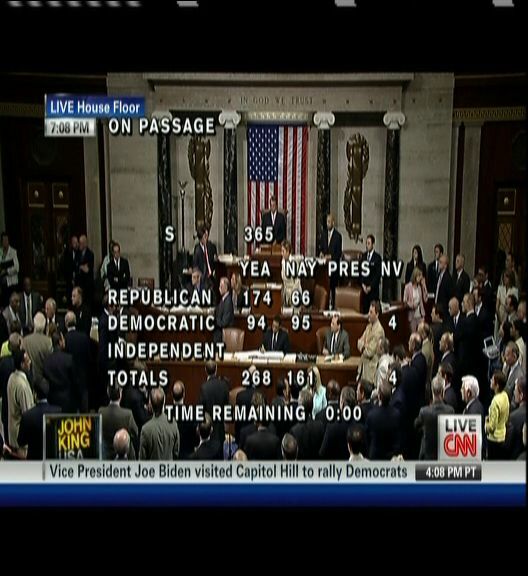 The final results are shown on the picture below. 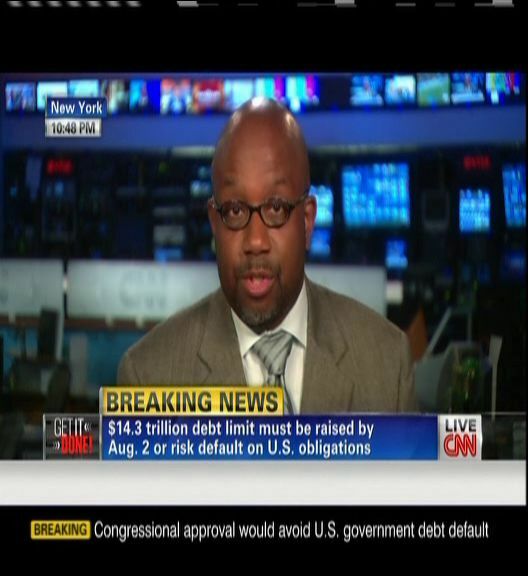 if U.S. debt failure occurs on August 2. 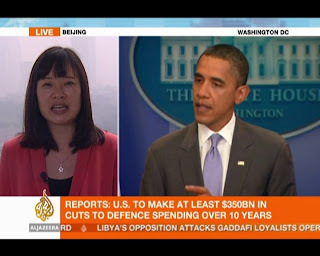 Obama soothing not only Chinese creditors. U.S. tax rates should remain unchanged. 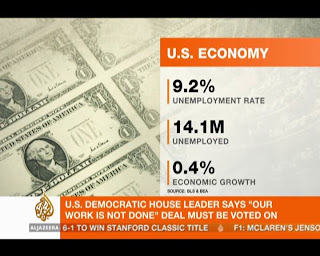 Actual unemployment and economic growth.